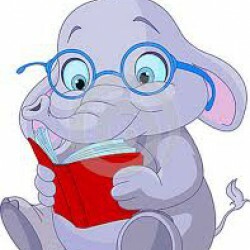 This author chose to read, in his own voice, the first hour and last half hour, or so, of his book. He narrates what seems to be an effort to smear the right side of politics and buoy up the left. In an innocent, almost pained tone of voice, he presents his opinion about the state of politics and government in the current White House. He is obviously disappointed and unhappy about who won the election. He presents the platform of the left, civil rights, women’s rights, immigrant rights, etc., as if those on the right are all white supremacists that are against those very same policies. The most egregious of that effort for me, was this: Although he spends a great deal of time on Martin Luther King and President Johnson, he leaves out those on the left who opposed the passing of the Civil Rights Act. He doesn’t mention the fact that Democrat Robert Byrd filibustered to try and prevent it from passing or that he rode with the KKK. He doesn’t mention that it was largely Republicans who passed the Act while Democrats opposed no only it, but also the 15th Amendment to the Constitution. Facts like that would contradict his attempt to present Progressives and Democrats as the “better angels”. There has been, of late, a proliferation of books that denigrate President Trump. This one tries to masquerade as more cerebral, and possibly more fair-minded, as it is supposed to be searching for the “soul” of America, but that soul seems to exist only on the left side of the political divide. I was surprised that Meacham would present so one-sided a narrative in order to promote the views of the Democrats and Progressives. He deliberatively uses selective sources to elevate them, He almost entirely ignores the faults of the left while presenting the foibles of the right and pretty much ignores the destructive behavior of those on the left as if they were anomalies not worthy of much attention. The very fact that the universities, largely influenced by Progressive thought, limit speech that does not represent their political view or those of their students, that publishers are rushing to put out books to influence the voting population in only one direction, the left, that the entertainment media and news media are consistently presenting negative images of the President and his accomplishments, should frighten the general public. Instead, the manipulation of information, which is nothing more than bullying, seems to have caused the general population to morph into a kind of mob rule, a behavior that disregards facts and logic. The fact that these same industries that educate and inform our youth are so biased is the reason that this current President criticizes them. He is not against the press, he is against a press that is completely unfair, completely biased against him, a press that does not present any positive news about his administration’s accomplishments, but rather runs with any story that trashes him and his policies, regardless of whether or not they are even true. It is disheartening to see what is happening in this country. We are undergoing a cataclysmic change; we are witnessing a moment of hate and anger that is coming from a group of people who scream at the moon, shout down those they disagree with, who require safe spaces to maintain their sanity, and who blame the side that is not violent or making unusual demands for their pain. They are dividing us in ways that may become dangerous because they are unable to accept their failure to elect Hillary Clinton, a woman who conducted a campaign for President which was fraught with dishonesty and manipulation in an attempt to gain an unfair advantage. If the respected author, whom I used to enjoy reading, wanted to present an honest book, he would have exposed information on both sides with impartiality. Instead, even when he says something positive about the GOP, he manages to, in the next sentence, subtly cast aspersions upon them. I found it a bit disingenuous that Meacham concentrated on using the word “fear” often, which is the title of a negative book on the President that was just published by Bob Woodward, and which the reader, therefore, can’t help but think of, and at the same time, he also uses the word ‘hope”, which everyone knows is associated with former President Obama’s campaign for President. Although he seems to be searching for our better angels, he seems to be looking for them only on one side of the political spectrum, the “left”. Although it may not be an obvious effort to smear the GOP and the President, the insinuation is loud and clear that they are not taking the country in a direction he wants it to go, nor are those who support Trump, “the better angels” he is seeking. It is his belief that they are taking the country in the wrong direction, and furthermore, they are wrongheaded, as well. In another book I am reading, which is not quite as partisan, “The Splintering of the American Mind” by William Eggington, a belief of T. S. Eliot’s, regarding the way we currently assess literature is quoted. The quote could just as easily be applied to the way we teach and make decisions today. Unfortunately, today, conversation and opposing views are discouraged. Meacham has deliberately cherry-picked an abundance of quotes (too many, because they almost negate the idea that he wrote the book; rather, it seems like the sources did since almost every sentence requires a footnote), to support his particular point of view. I did not expect this highly respected author to present so one-sided and unfair a view of our history and our “better angels”. Almost entirely, he ignored the warts of the left and went on to explode those of the right into tumors, tumors depicted as if they were just waiting to swallow America up in hate. 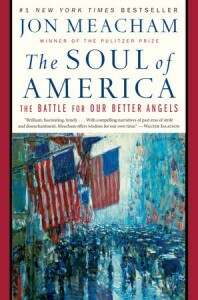 It is as if Meacham decided on the premise of the book and then set out to find the quotes that would prove his point. He does not present the obstruction that is coming from his “better angels” in the past and the present day. Perhaps he believes that he and his ilk are the “better angels”, but to me, he did not present an accurate version of the truth.